The demo will feature Shuttleworth’s Slip-Torque® roller technology conveyor equipped with Soft Robotics’ SuperPick™, designed specifically for ecommerce and more. A unique feature of this demo is that it requires no human interaction. HUNTINGTON, IN., March 12, 2019 - Shuttleworth, a leader in product handling solutions, will be showcasing an integrated automation solution in partnership with Soft Robotics at Automate 2019, April 8-11 at booth #7111 at McCormick Center in Chicago. Located in the Integrated Solutions Center within the exhibit hall, Shuttleworth and Soft Robotics will demonstrate the latest in automated meal kitting capabilities. The demo will feature Shuttleworth's Slip-Torque® roller technology conveyor equipped with Soft Robotics' SuperPick™, designed specifically for ecommerce and more. A unique feature of this demo is that it requires no human interaction. "Consumer demand continues to grow at a rapid pace within the meal kit market. To keep up with this demand, meal kit companies must find creative ways to automate their kitting and packaging processes," stated Ken Tinnell, VP and General Manager of Shuttleworth. "Through our integrated solution, companies become more productive. One of the highlights of this particular demo is that we can pick and place fresh ingredients from bins to meal kit boxes in preparation for packaging. Shuttleworth's conveyor solutions don't stop there - we can then transport the meal kit boxes to cartoners or case packers, as well." "We are excited to be partnering with Shuttleworth to demonstrate our two company's technologies to provide transformative solutions in the critical sector of grocery and meal kitting," said Carl Vause, CEO of Soft Robotics. "The food and beverage robotics market is growing at an unprecedented rate, due to market forces like increased consumer demand, a shrinking labor pool, and mounting food safety regulations. The human-hand like dexterity of Soft Robotics' gripping systems mean that delicate, variable food products are no longer off-limits to automation." Also, on display will be Shuttleworth's Infinity Accumulation Conveyor featuring the Slip-Torque roller technology and providing low pressure accumulation and single or multiple laning of products at high-to-moderate speeds dependent on product dimensions. To learn more about Shuttleworth, visit our website at www.shuttleworth.com. From automotive and electronics, to paper conversion and pharmaceuticals, to food and health & beauty markets and beyond, manufacturers across the globe rely on Shuttleworth integrated product handling solutions to increase line efficiency, maximize profitability, and minimize risk. As part of the ProMach Product Handling business line, Shuttleworth helps our packaging customers protect and grow the reputation and trust of their consumers. ProMach is performance, and the proof is in every package. Learn more about Shuttleworth at www.Shuttleworth.com and more about ProMach at ProMachBuilt.com. Soft Robotics unlocks robotic automation for large, meaningful markets and labor starved industries such as food and beverage, advanced manufacturing and e-commerce. Leveraging patented material science and AI algorithms, Soft Robotics designs and builds automation solutions and soft robotic gripping systems that can grasp and manipulate items with the same dexterity of the human hand. Since the company's inception, its technology platform has experienced substantial customer validation and adoption, with production installations running 24/7 for Fortune 500 companies and Dow 30 components. For more information, please visit www.softroboticsinc.com or follow the company @SoftRoboticsInc. ProMach is a family of best-in-class packaging solution brands serving manufacturers of all sizes and geographies in the food, beverage, pharmaceutical, personal care, and household and industrial goods industries. ProMach brands operate across the entire packaging spectrum: filling and capping, flexibles, pharma, product handling, labeling and coding, and end of line. ProMach also provides Performance Services, including integrated solutions, design/build, engineering services, and productivity software to optimize packaging line design and deliver maximum uptime. ProMach designs, manufactures, integrates, and supports the most sophisticated and advanced packaging solutions in the global marketplace. Its diverse customer base, from Fortune 500 companies to smaller, privately held businesses worldwide, depends on reliable, flexible, technologically advanced equipment and integrated solutions. ProMach is headquartered near Cincinnati, Ohio, with manufacturing facilities and offices throughout the United States, Canada, Mexico, Brazil, Europe, United Arab Emirates, and China. 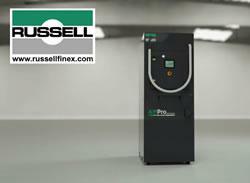 For more information about ProMach, visit www.ProMachBuilt.com.